"I really had a bad experience with an airbrush artist before during my sister's wedding. Kris made me believe in airbrush makeup again! What I love most about her makeup is how it looks better and better through time. I never felt the need to retouch so often. I didn't get oily or smudgy. My face looked clean and glowing even when I was crying. Even my mom who's very picky with makeup artists is now a suki!" 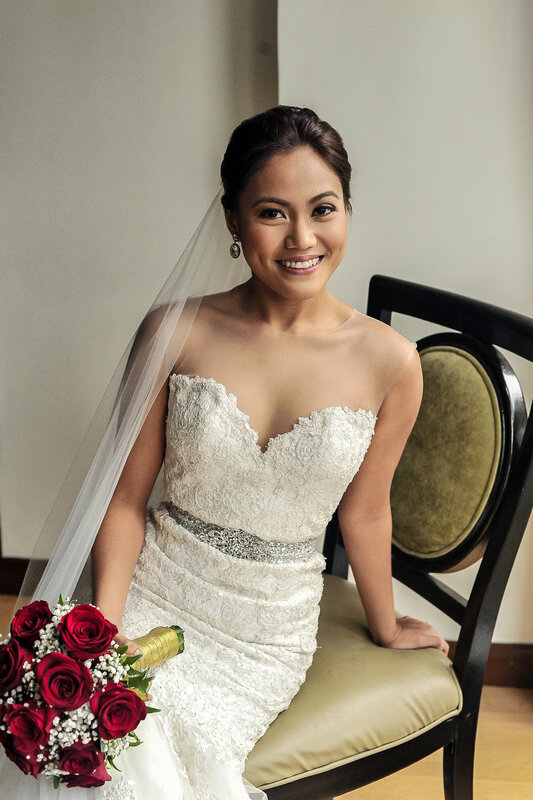 "One of my worst wedding nightmares is that I'd look like a totally different person on my wedding day. 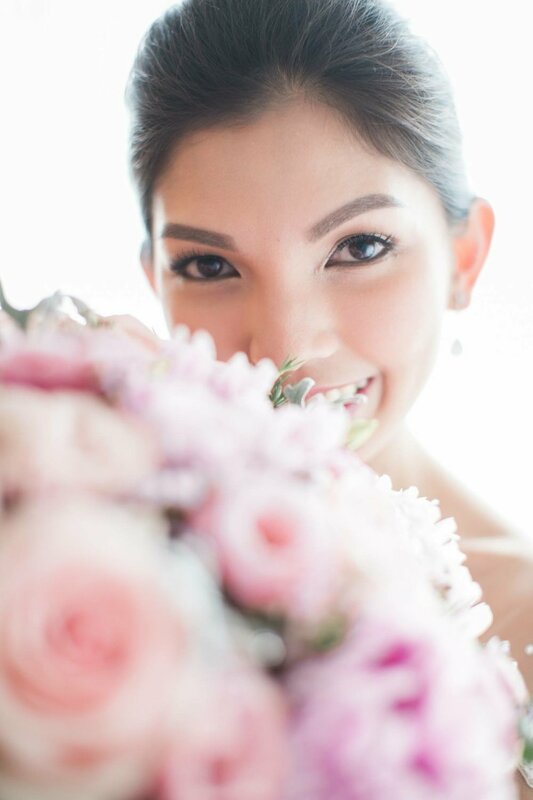 When Kris asked me during my trial run what look I had in my mind for my wedding, I immediately told her that I'd like to look like me--but better! I'm ecstatic that Kris did a fantastic job! 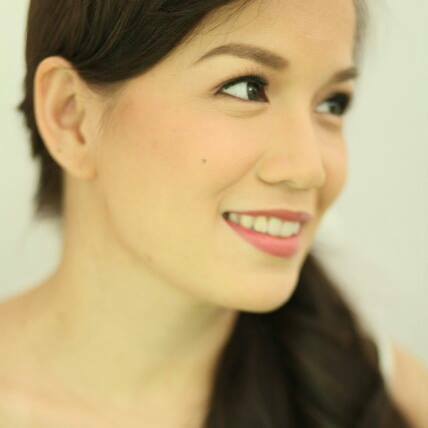 My makeup was not caked on, it was light and natural, and it stayed on the whole day until the party ended! Thank you, Kris, for making me look positively radiant on my wedding day! My wedding photos are proof of your expertise and I'm so happy I can look at my pictures many years from now and remember how beautiful everything was!" "The first time I got Kris to do my makeup was for my engagement lunch. My husband-to-be at that time commented on how beautiful I looked, I knew then that Kris passed the test for the wedding day. I also got so many comments from my family about how good the makeup was on me, and I myself liked it a lot! On my wedding day, Kris did a GREAT job of doing my makeup once again! It isn't always easy working on lighter skin, but she really seems to have mastered the art! :) I'm so grateful she was the one who did my makeup. Thanks, Kris!" 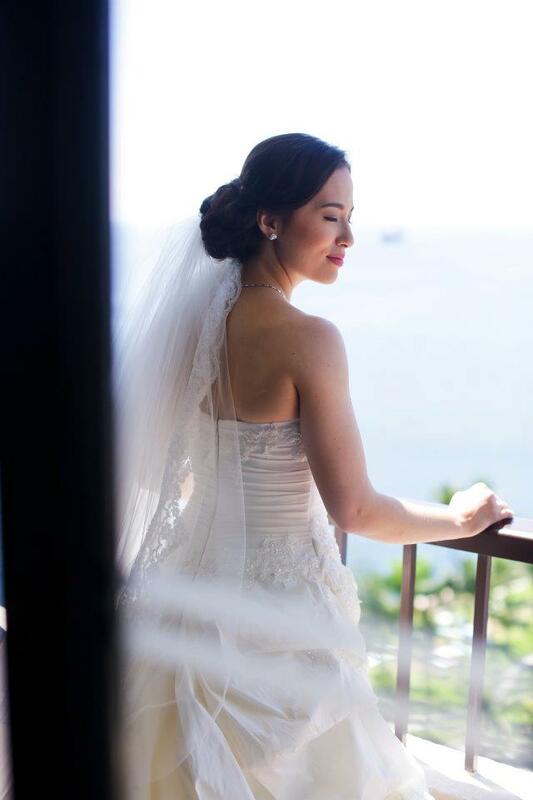 "Like most brides, I could barely sleep the night before the wedding. So on the day itself, I was worried because I thought I must have looked exhausted and not at all like a bride. To my surprise, my makeup lasted the whole day, looking natural, fresh and beautiful until the end. Kris did an amazing job!" "I just depended on my instinct when I booked Kris. I was never a fan of makeup and I didn't know any makeup artists then. Kris made me feel like a princess on my wedding day. I didn't even have to retouch my makeup even though I was crying really hard on my way down the aisle. Relying on my instinct was the perfect decision that I made! I really had fun working with you, Kris. Thank you!" 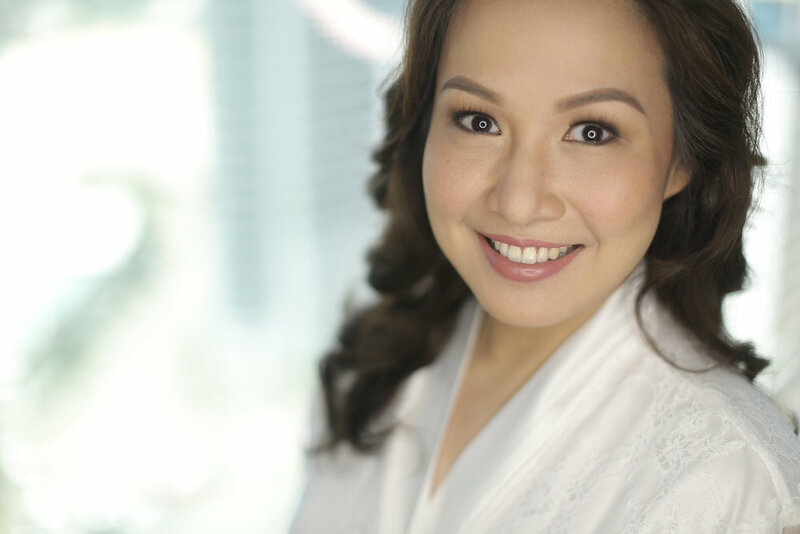 "I was so delighted to book Kris for my wedding day. More than being a professional supplier, she's an outstanding artist, cares about her clients and even has an awesome playlist to get you in the mood while getting ready!" "Taleng is never enough. As a retailer, I am always seeking for excellent customer service I know I deserve. Kris is both a talent; and gives great client service. I have been looking for a balance of both in all my suppliers. 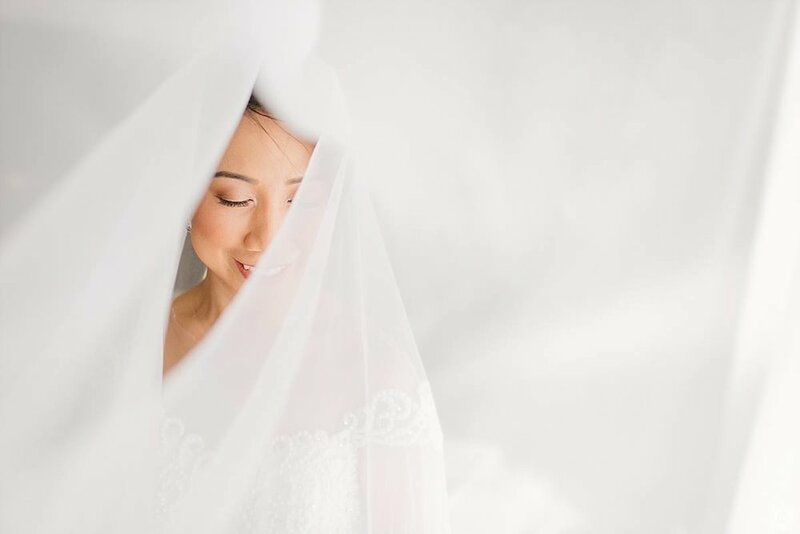 I am ecstatic to have chosen Kris as she gave me a glowing, natural bridal look I have desired for my wedding!" "Get Kris! That's the best advice I can give to my friends who are getting married. Up to now, I still get compliments on how natural and radiant I looked not only in our wedding photos but throughout the event as well. 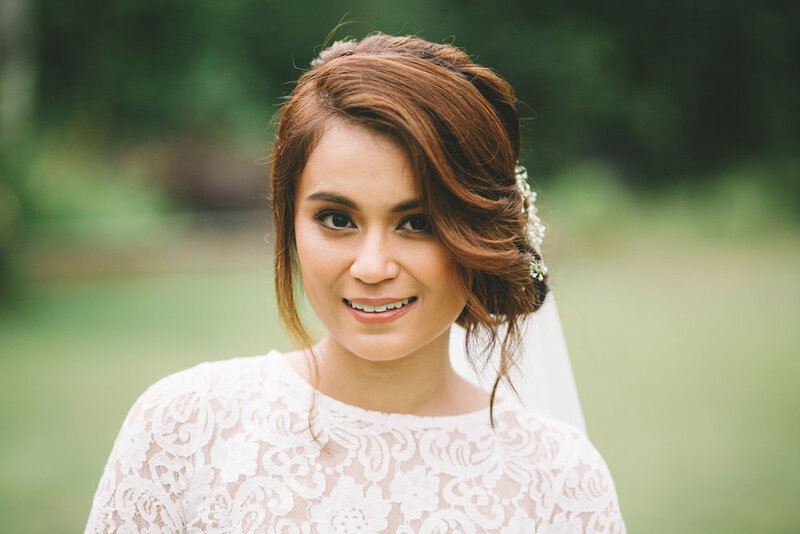 She completed my dream bridal makeup look and I couldn't be happier with the results - simple yet elegant and timeless makeup perfect for my special day." 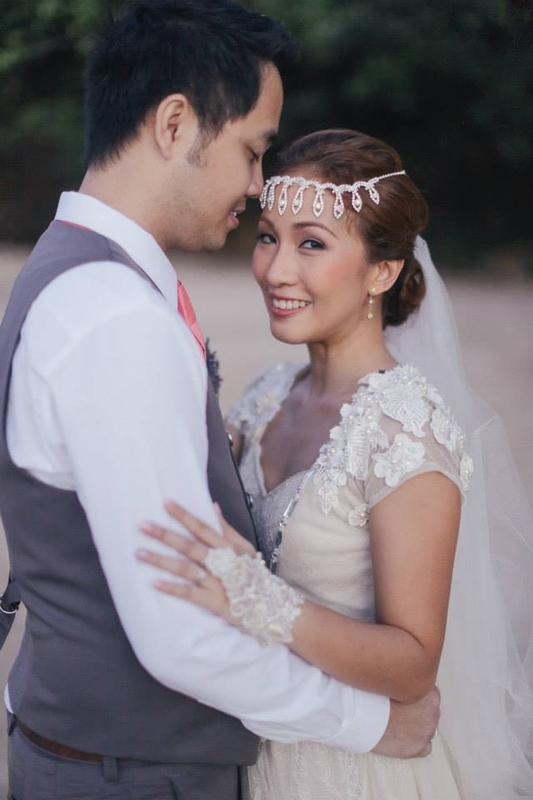 "I was supposed to book another makeup artist for my wedding day but my Couturier insisted I get Kris Bacani... so I did! Good thing I trusted my couturier because Kris made an excellent job! I looked so young and fresh on my wedding day. 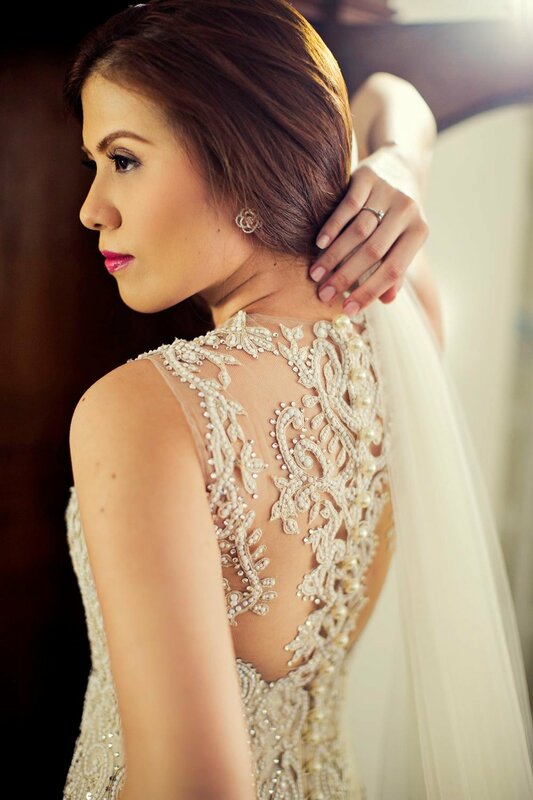 Thanks Kris for making me beautiful on the most special day of my life!" "Our wedding had a rustic theme, so I wanted something different from the usual fresh bridal look. Kris understood my needs perfectly, and created a romantic, boho look that suited my personality. As a result, I felt confident in my own skin, and comfortable throughout the day. Kris was fun to be around with, and was totally chill. 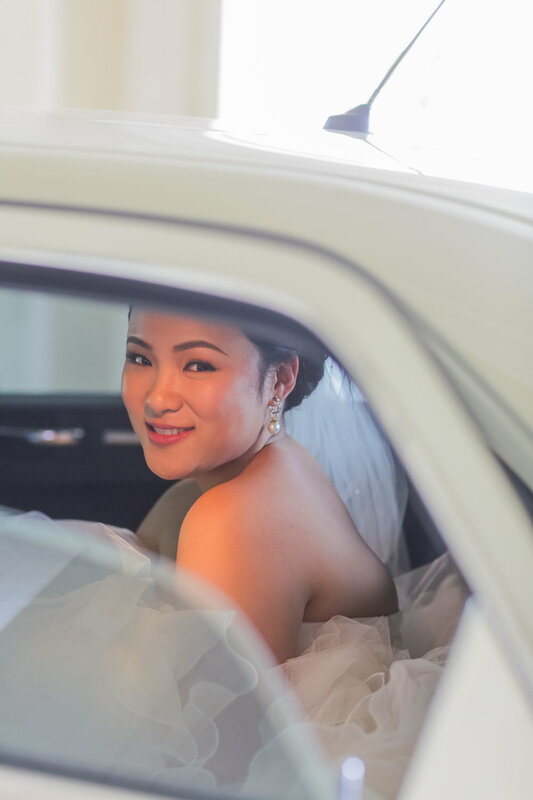 To top it all off, she displayed an admirable level of dedication and professionalism -- you'd want someone like her on your big day!" 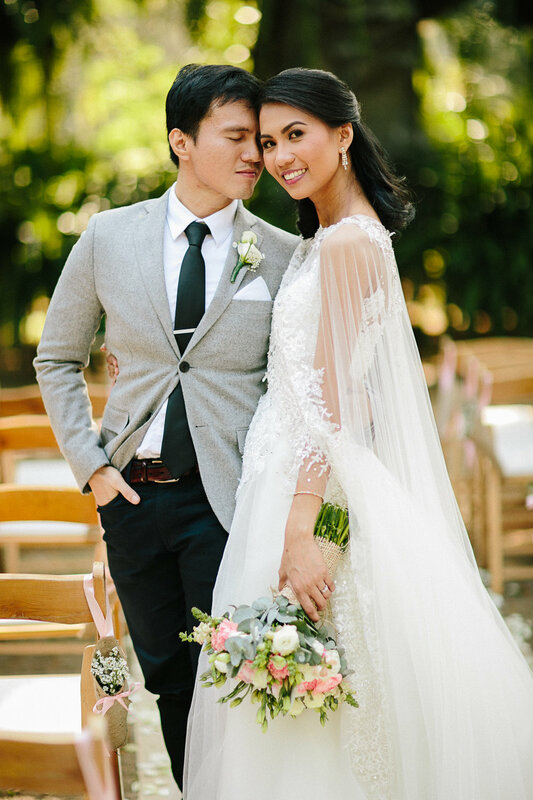 "Getting Kris as my makeup artist was one of the best decisions I made for our wedding. My husband--who loathes make up--kept saying "you look so beautiful" during the ceremony, the reception, and what came after. I was fresh and radiant the entire day even without a retouch. And to top it all off, Kris didn't even bat an eyelash when she learned that our wedding started at 6AM--which meant call time was at 1AM!" "Kris was my only choice to do my wedding makeup. I never even consulted with anyone else! We studied in the same school together and she's a friend, but more than that, I trusted her completely to make me look beautiful during the most special day of my life. And when I saw myself, I knew I made the right choice. She not only made me look beautiful, she made me feel beautiful as well. Words can't express how grateful I am. Thank you so very much, Kris!" 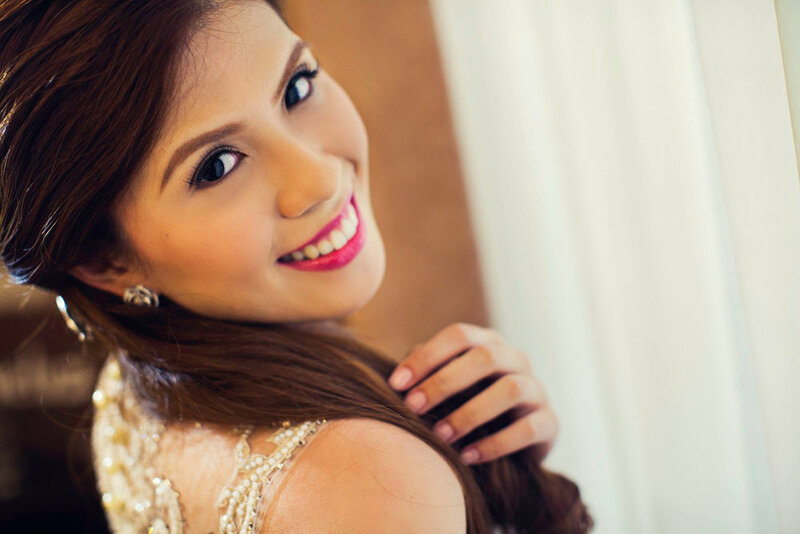 For inquiries about my bridal makeup services and rates, just click on the corresponding buttons to go through my Frequently Asked Questions and bridal packages.